There is a quilt in my house that is tattered. I don’t mean a little bit worn; I mean literally falling apart. Yet I cannot bring myself to part with it. And I can’t quite explain my attachment to it. I just know I can’t throw it out. Its history is something of a mystery. I don’t know which side of my family it came from. All I know is that it’s been in the family forever, and it shows every mark of its past. Much of the fabric is disintegrating, with the cotton batting underneath exposed. It is beyond ragged. Yet, as pitiful as it looks, it is also the softest quilt in the house. It seems as though it always was the softest one, even when it lived in Mama’s house. I will never forget the Christmas break I came home from college with a mouth full of ulcers and a torn-up stomach from the stress of exams, sick and exhausted. 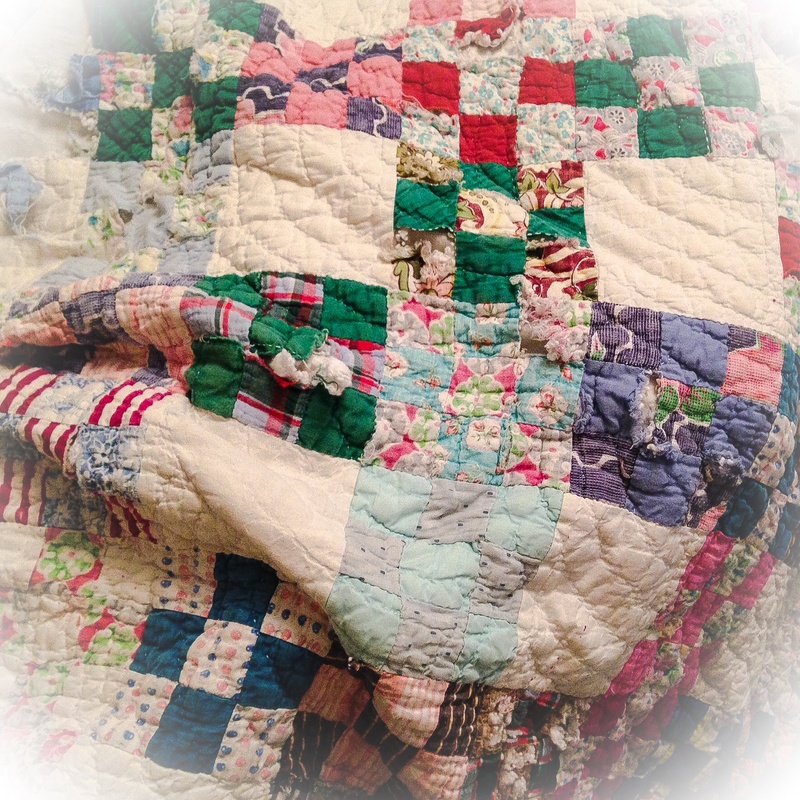 I piled myself on the couch in the den downstairs under this ancient quilt, burrowing down into its softness, taking respite in the simple comfort of being home where my Mama could take care of me. I guess maybe that’s why I can’t let it go, even though it is coming apart at the seams (and everywhere else!). 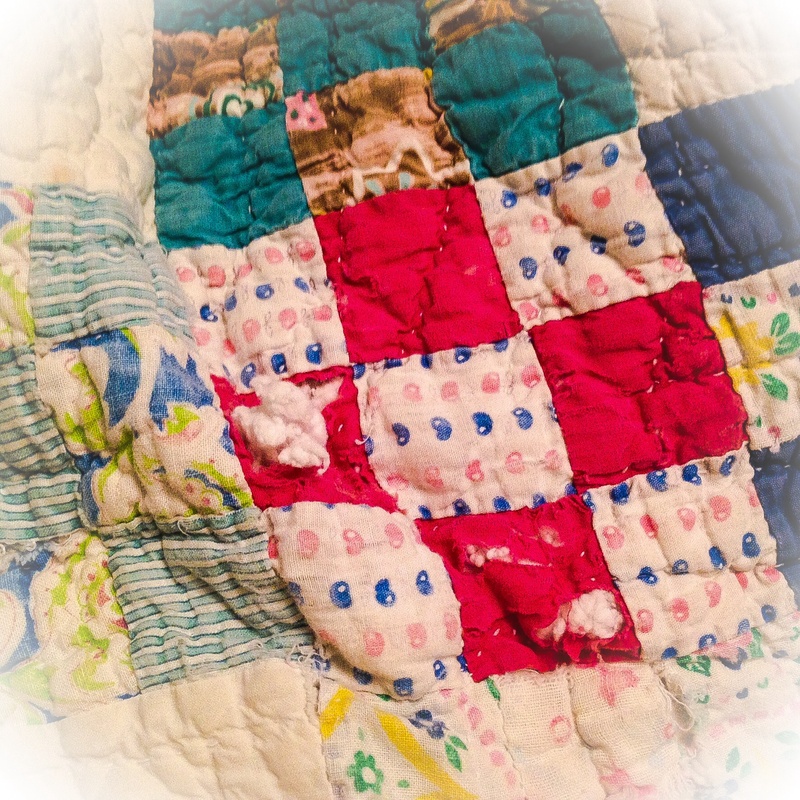 It is, among other things, a reminder of Mama’s comforting care and the many times she held me and tucked me into the comfort of that ratty old quilt when I was cold or sick or exhausted. I miss her every day. 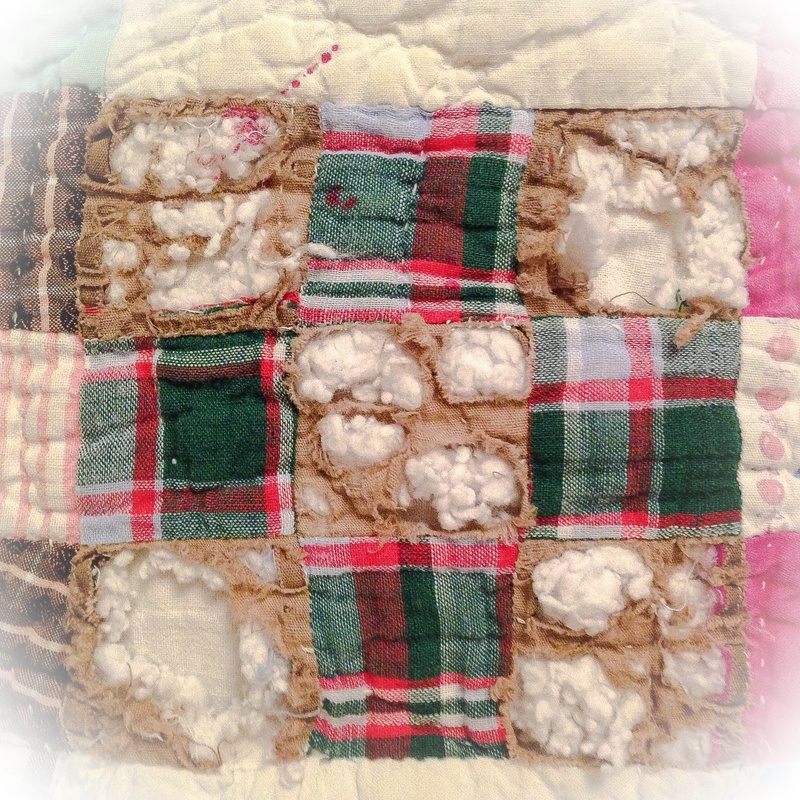 But the ratty, tattered quilt lives in my house to remind me of her care. I am almost afraid to use it now, for fear that it will come completely apart. I think, though, that it needs to live out the remainder of its life on my couch, with me burrowed into its ancient softness, remembering Mama and feeling her loving touch once more. Maybe it will be buried in the casket with me when I die. Somehow I think Mama would like that.